Do you like Pushbullet? As an Android user, you are required to like it. Sorry, we don't make the laws, we just enforce them... with extreme prejudice. The news you are henceforth required to celebrate is that the Pushbullet devs have created a Play Store beta program. Just a few clicks and you'll get the new stuff first. Plus, there's an update coming to the desktop app that takes some of the weight off the browser extensions. 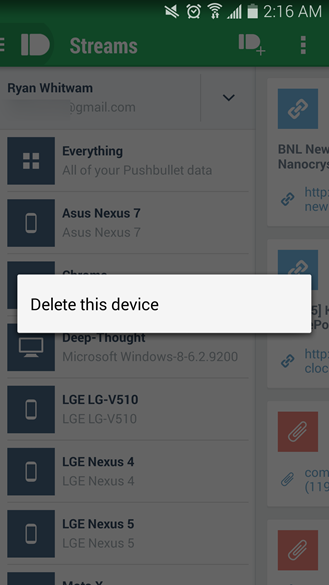 The first build of Pushbullet in the beta channel isn't anything amazing – it's got an option to remove devices and contacts by long-pressing. There are also some bug fixes, but the developer promises future updates will be much cooler. Just join the Google+ community and opt into the beta. Easy. 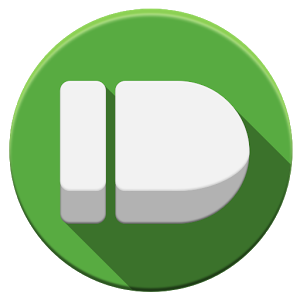 The other bit of news in Pushbullet land is that the first update to the desktop client is being pushed out. This update includes support for notification mirroring and will automatically take over for the browser extension if it's installed (Firefox users will need to update the browser extension for this to work). This is a good thing because the full app can work when the browser isn't running. The notifications it produces may also be more capable than the ones you get from Firefox. Keeps getting better, right?